Admiral of the Fleet Osami Nagano (June 15, 1880 – January 5, 1947) was a Fleet Admiral and General Staff in the Imperial Japanese Navy. 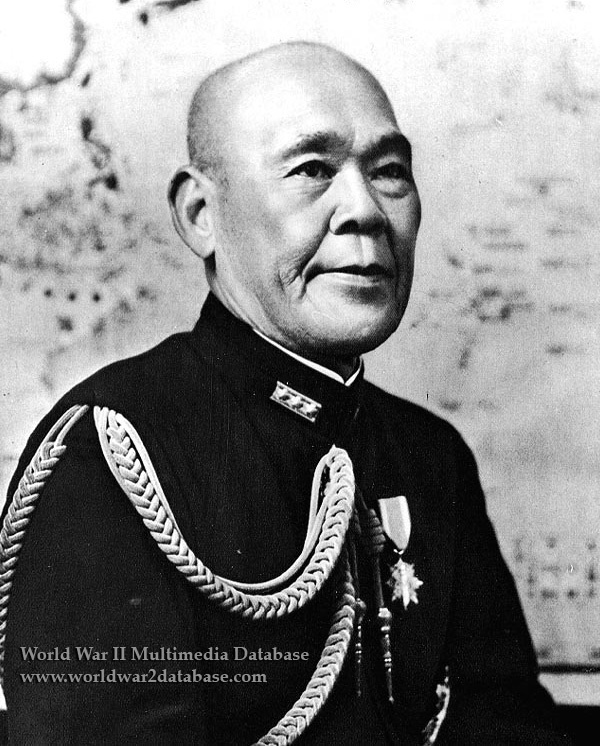 He essentially commanded the Imperial Japanese Navy as its General Staff. In 1941, Nagano became Chief of the Naval General Staff. In this capacity, Nagano adopted Admiral Isoroku Yamamoto's plan of attack against the United States Pacific Fleet in Pearl Harbor in case diplomatic negotiations failed and Japan and the United States eventually went to war. He supported the decision to wage war against the United States, Great Britain and the Netherlands. Nagano subsequently ordered the attack on Pearl Harbor. Nagano was promoted to fleet admiral in 1943 and kept his position as Chief of the Naval General Staff throughout the majority of World War II. By 1944, however, Japan had suffered serious military setbacks and Nagano had lost the confidence of Emperor Hirohito. With the Emperor's approval, Prime Minister Hideki Tojo and Navy Minister Shigetaro Shimada removed Nagano from his post and replaced him with Shimada. Nagano spent the remainder of the war as an advisor to the government. Arrested by the American Occupation forces in 1945, Nagano, while standing before the International Military Tribunal for the Far East on “Class A” war criminal charges, assumed responsibility for the Pearl Harbor attack. Nagano died of a heart attack due to complications arising from pneumonia in Sugamo Prison in Tokyo before the conclusion of the trial in 1947. Date estimated.